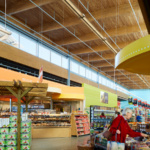 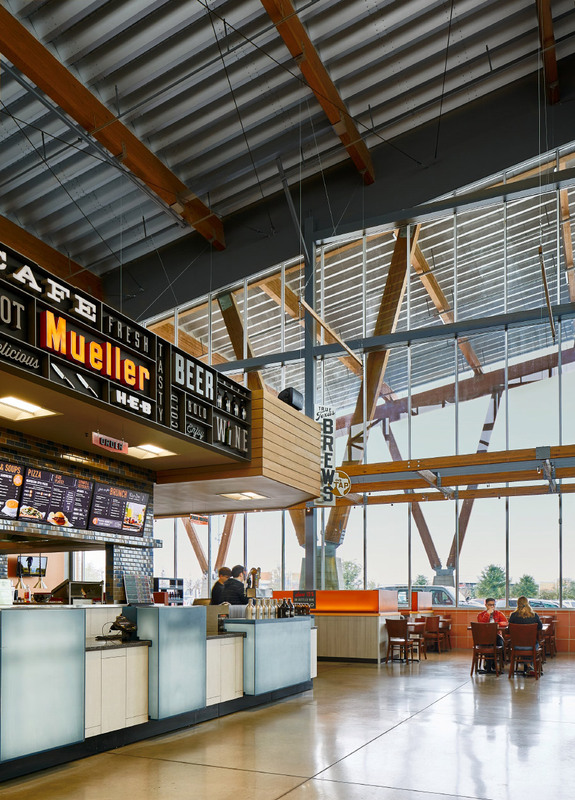 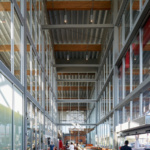 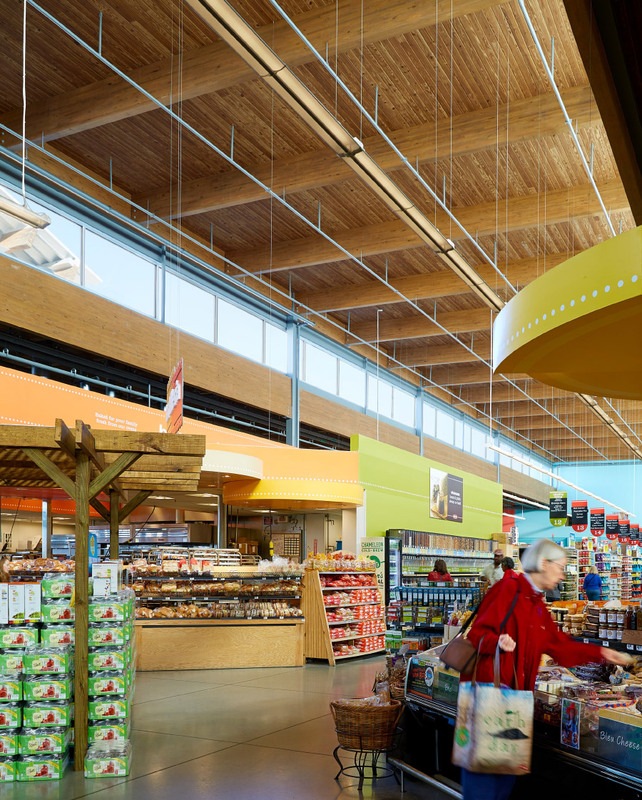 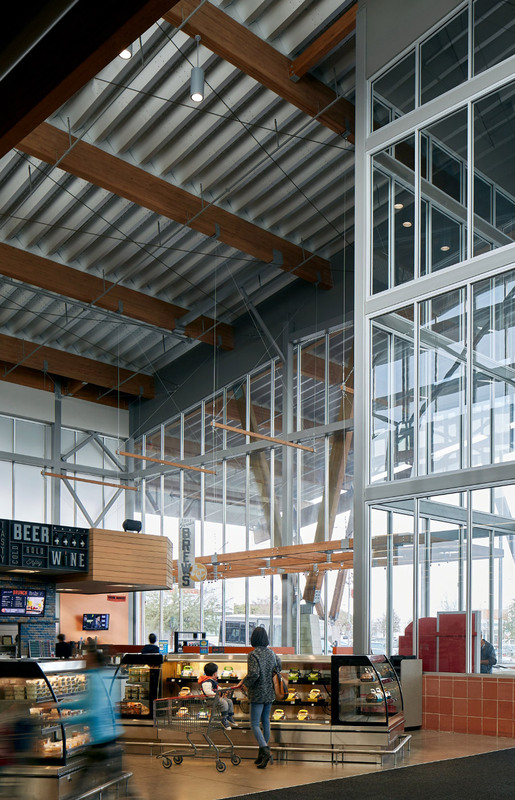 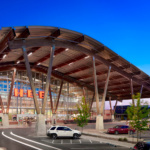 Imagine shopping for groceries in a LEED Gold–certified building on a site once occupied by Austin’s airport, and you can picture the Mueller H-E-B structure designed by Lake|Flato Architects. The glass-clad building is one of the many collaborations between the Texas supermarket chain and the San Antonio–based firm Lake|Flato. 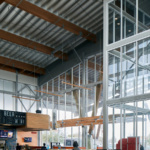 Triangular steel trusses support a soaring, curved roof made of corrugated metal. 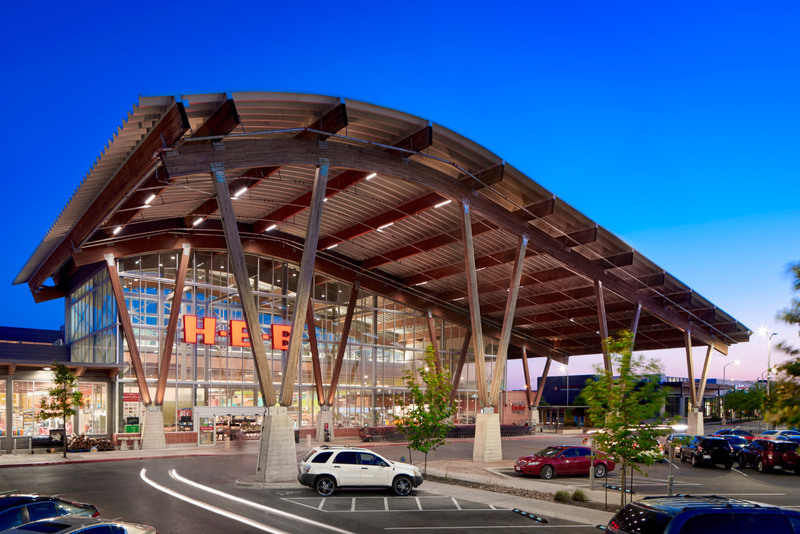 The H-E-B Market’s design responds to Austin’s highly variable humidity with a vestibule that transports and expels heat out the top. 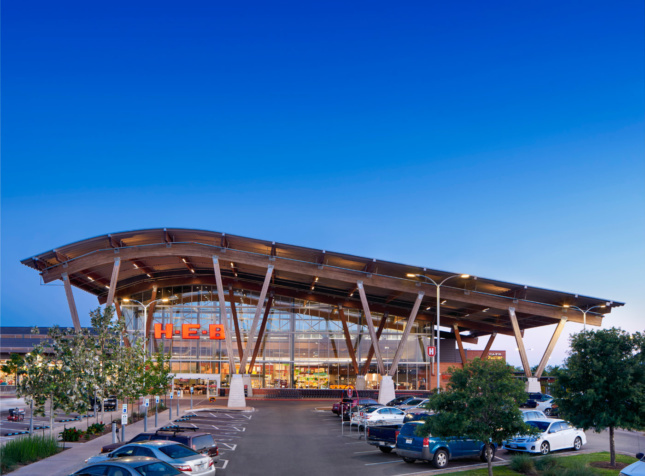 The building is also a testing ground for many sustainable concepts, such as a rain garden that doubles as a water filtration system, rooftop sensors that monitor how much daylight the building gets, and smart air-conditioning—all aimed at reducing energy use and improving the interior environment for shoppers. 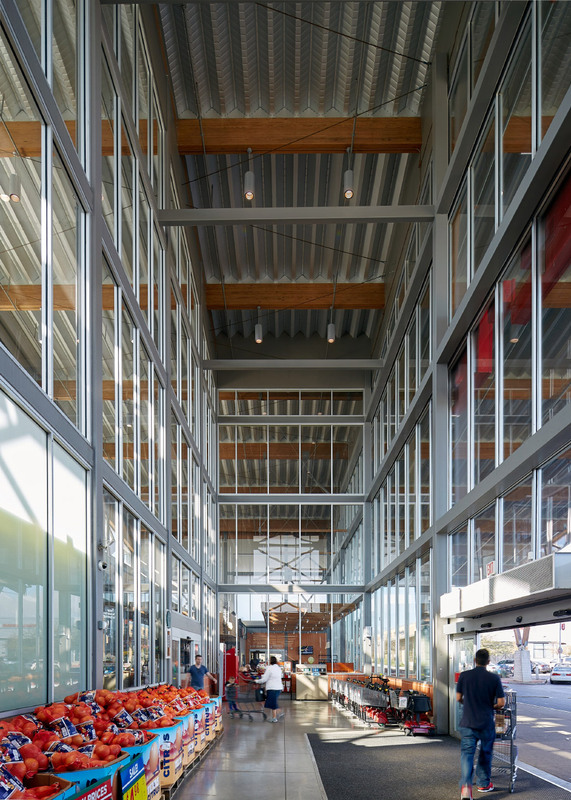 In 2016, it was awarded an AIA Committee on the Environment Top Ten Award, recognizing the architects for their commitment to sustainability.